Ever wanted a magic wand to tame a tantrum? Thrown your hands up trying to get your child to eat another bite? Or wondered how many more miles ’til they hit the road to dreamland? Whatever your parenting 911, we’ve got a musical parenting hack for you to try! The great news is you already have the goods to make the magic happen! So, exhale and read on. 1. 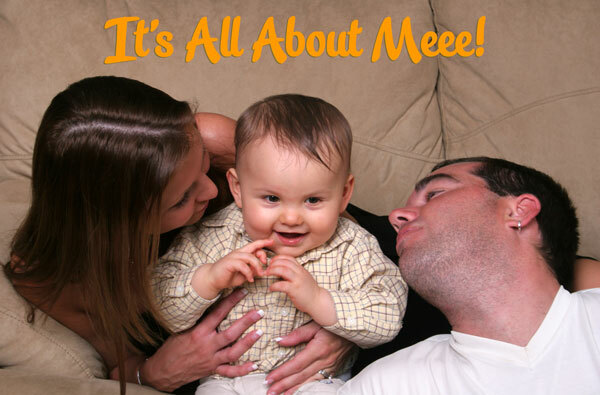 It’s all about Me, ME, MEEEEEE! Not only does your child love to hear you sing, she loves to hear you sing about HER. It feels good to be a VIP! When your child hears her name, it’s brain food for focus and attention. Substituting your child’s name in “Mary Had a Little Lamb” or singing “This little Lauren of mine” (instead of “light”) can be so powerful in getting or redirecting their attention. Try it! 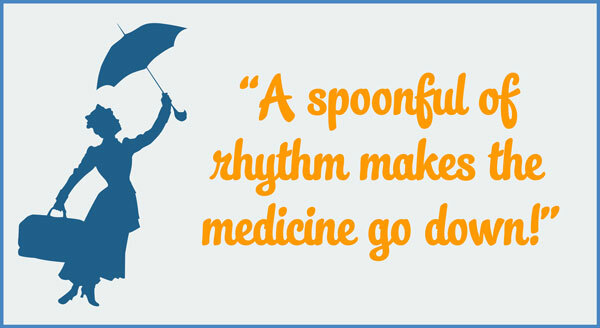 Pull out an unexpected silly song or dance during dreary chores or errands and make the day sunny again! Try holding your nose and singing “Hello, Everybody” or “Row, Row, Row Your Boat.” Sweeping or vacuuming? 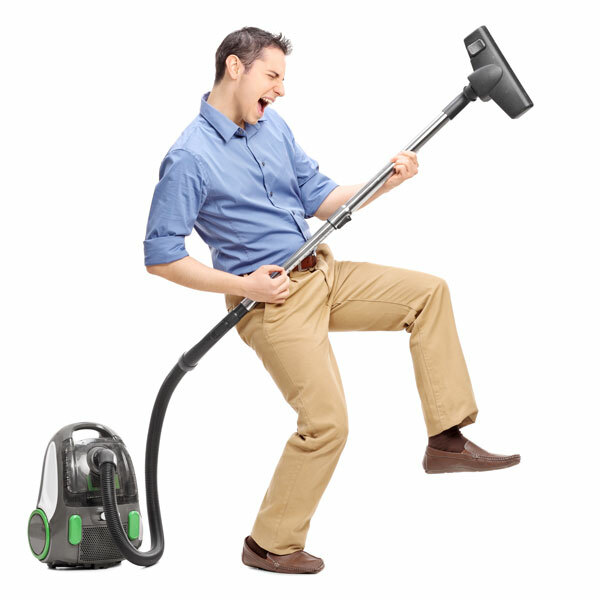 Take a guitar solo! You’ll all get the giggles! 3. Go! Stop! . . . Go!!! Ask your toddler or preschooler if they can put their socks/pants/hat on before the end of “A Ram Sam Sam” (or the “William Tell Overture”/”Lone Ranger” theme)! Give them a turn to sing while you beat the clock putting on your shoes, too! Add the element of rhythm and, as Mary Poppins says, “Snap! The job’s a game!” Chant your way through buckling up, wiping a spill, or anything that feels like a struggle. Add rhythm to tell the story: “It's TIME to BUCKle up, BUCKle up, BUCKle up. I'M gonna BUCKle you up WITH a CLICK." 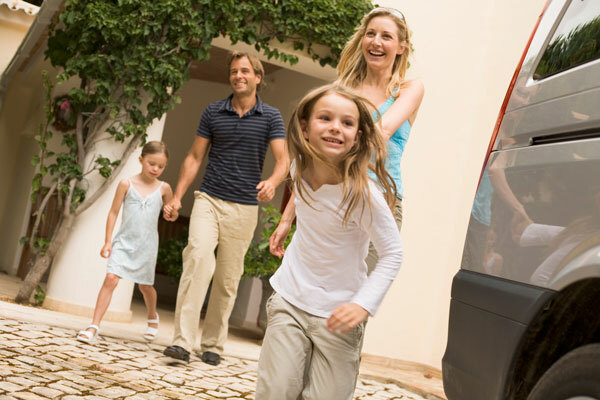 Notice how much sweeter and smoother the experience is for both of you! 6. Party in Aisle 3! 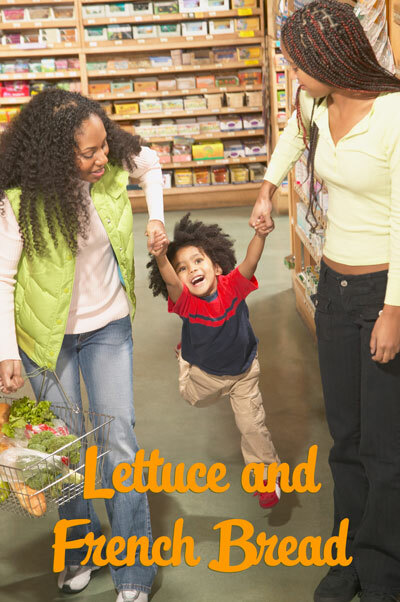 Fly through your list as you sing the items off the grocery store shelves and let your child toss them in your basket. “Apples and Cherries” isn’t just for singing about fruit! 7. It’s not an airplane—it’s a train! 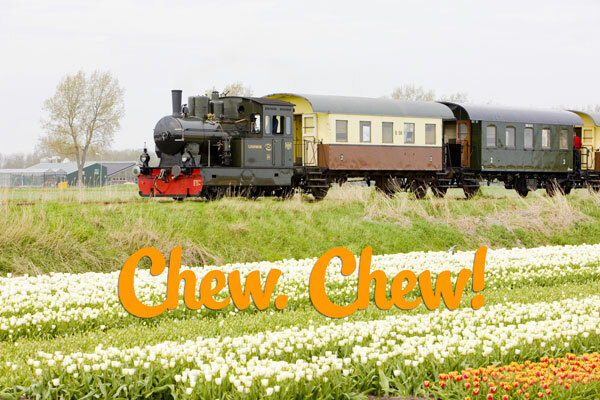 “Choo, choo!” or “toot, toot!” your fork to your mouth to the tune of “I’ve Been Working on the Railroad.” When your child sees you playing, they’ll want to chew, too! Imaginative play . . . at bedtime? Yep! 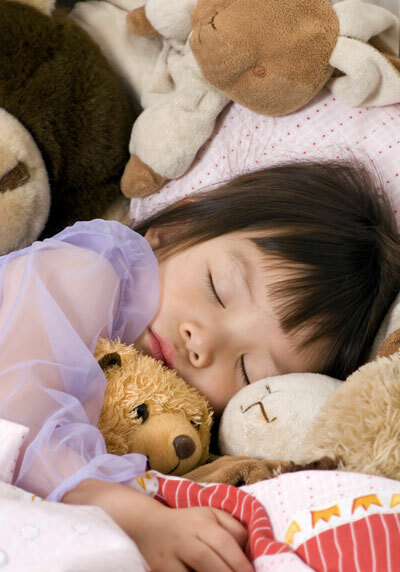 Ask your child to choose a “baby” (favorite doll or stuffed animal) to sing and rock to sleep as part of bedtime. Once “baby” is snug and asleep, repeat the ritual—with your child! Transform a song you love—even if it's not technically a children's song—into a lullaby by singing it softly and slowly. Drop the words the second time through, singing “loo-loo” or humming it, and watch those little eyes close! —Devi Borton, M.A., is a Certified Music Together Teacher Trainer and Center Director of FAM JAM! Music Together in Santa Fe, New Mexico.